Let us introduce you to our latest release – Block A! The 2018 vintage can only be described as one of the hardest years that we’ve ever seen in the Virginia wine industry, but it has allowed us to get creative with some of our staples and explore what new and exciting things we can create from year to year. 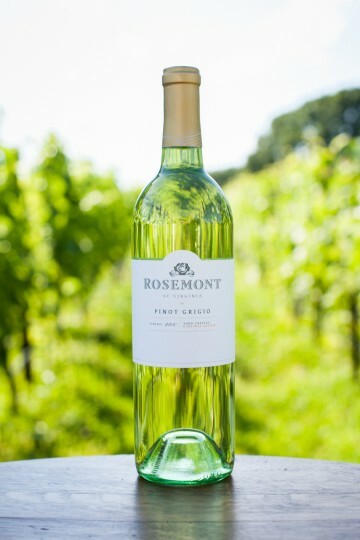 We lost about half of our Pinot Grigio thanks to unending rains during fruit set, and so we decided that instead of making a very limited amount of Pinot Grigio, we would instead create a new blend that is 50% Pinot Grigio and 50% Chardonel. We generally use 25% Chardonel in our varietal Pinot Grigio and when we came up with this idea, we knew that a 50/50 blend would be fantastic. So we’ve named this wine in honor of where both varietals grow here on our estate – Block A. We hope you enjoy this new fresh take on our white blends!